TurboTax officially announced that they are offering support for Bitcoin and cryptocurrency tax reporting as a result of their partnership with crypto tax software company, CryptoTrader.Tax. This means that the premier, premier-live, self-employed, or self-employed live packages all have the ability to handle the crypto side of your taxes. This is a big deal for consumers who trade and transact with cryptocurrency as the tax reporting process for the digital asset can be very difficult. 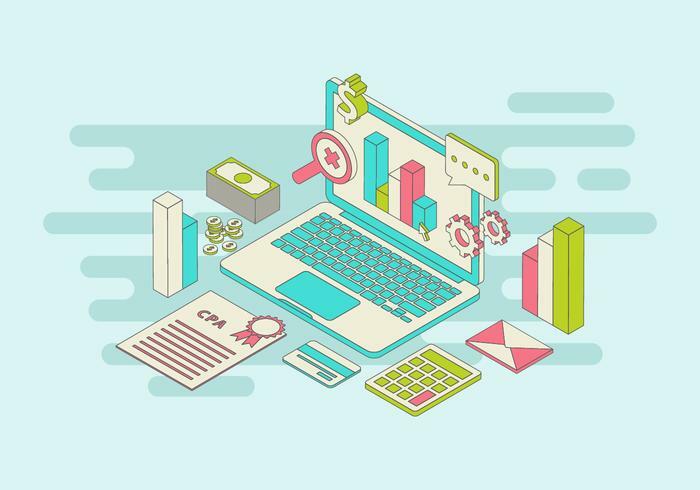 This article walks through the process of filing your cryptocurrency taxes through the online version of TurboTax. 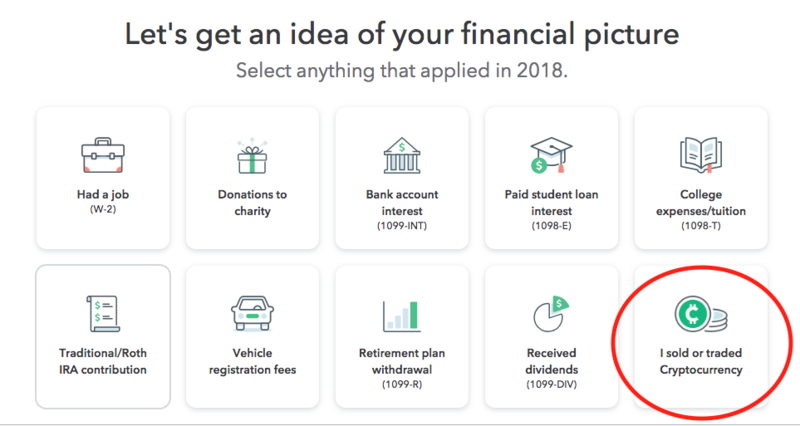 Head over to TurboTax and select either the premier or self-employed packages as these are the ones that come with the cryptocurrency feature. After creating your account, you will enter the TurboTax live app. Within the app, you will answer a number of prompts. On one of the early prompts, you will be asked to “get an idea of your financial picture”. Select all that apply to you, and make sure “I sold or traded cryptocurrency” is also selected. 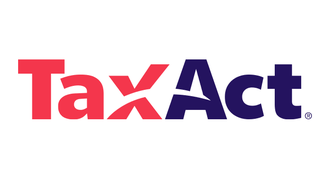 Continue to fill out your tax profile within TurboTax. Once you have filled out the initial prompts, you are able to jump to the crypto section by typing in “crypto” within the search bar and then selecting “jump to crypto”. You can also get to the cryptocurrency section by navigating to "Income types" > "Add more income types". Within the cryptocurrency section, you are able to select the Crypto Tax platform that you used to prepare your crypto data. If you have not built out your cryptocurrency tax report with CryptoTrader.Tax yet, this is where you should pause to create your report. Keep in mind, TurboTax will not congregate all of your crypto data for you. If you traded on multiple exchanges and had many transactions, you will need to build out your report and crypto tax profile with CryptoTrader.Tax. View this article on how to create your crypto tax report with CryptoTrader.Tax. Okay so you completed your crypto tax report on the CryptoTrader.Tax platform, now you need to get this data into TurboTax. To do so, simply download the TurboTax CSV that CryptoTrader.Tax exports with every report package. 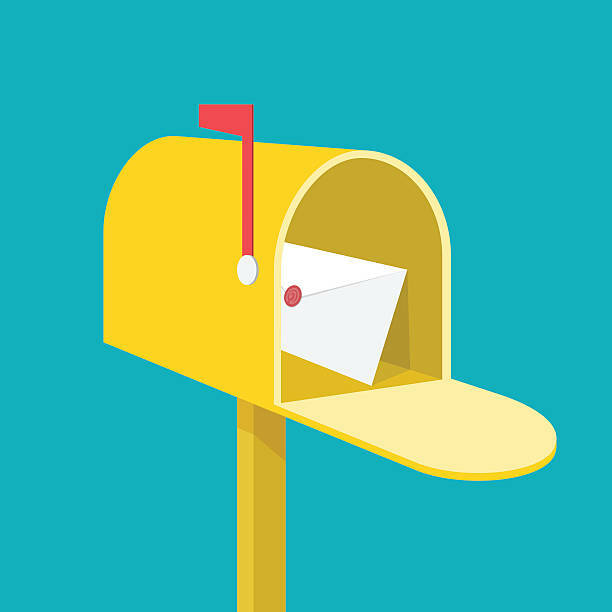 After downloading your file, head back over to TurboTax and upload this CSV file. You should “select all” transactions as taxable within the app. 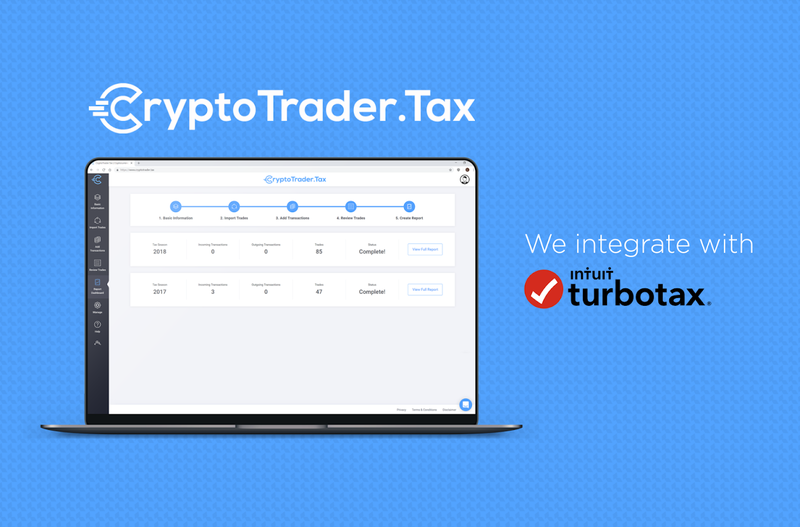 CryptoTrader.Tax exports your taxable transactions, so you don’t need to sift through each one in TurboTax. Simply select all of them. Once you finish, click 'complete' and you will see a summary of your cryptocurrency transactions within TurboTax. And there you have it! 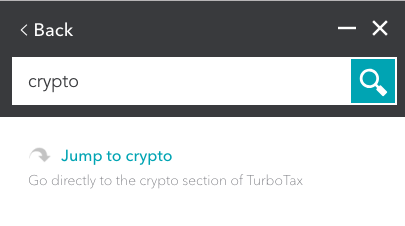 Now all of your taxable crypto transactions will be included with your year-end tax return that TurboTax files for you!